As the population is growing, the demand for leasing out property is always high. 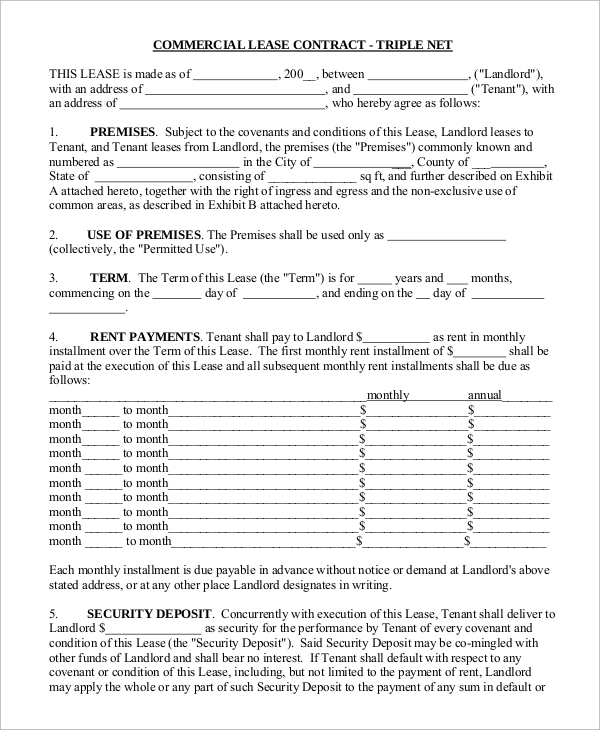 Starting from small property to big ones, every leasing of property process requires a legal Lease Agreement that must be signed between the two parties and such contract contains all such provisions that protect both of them as long as it is valid. 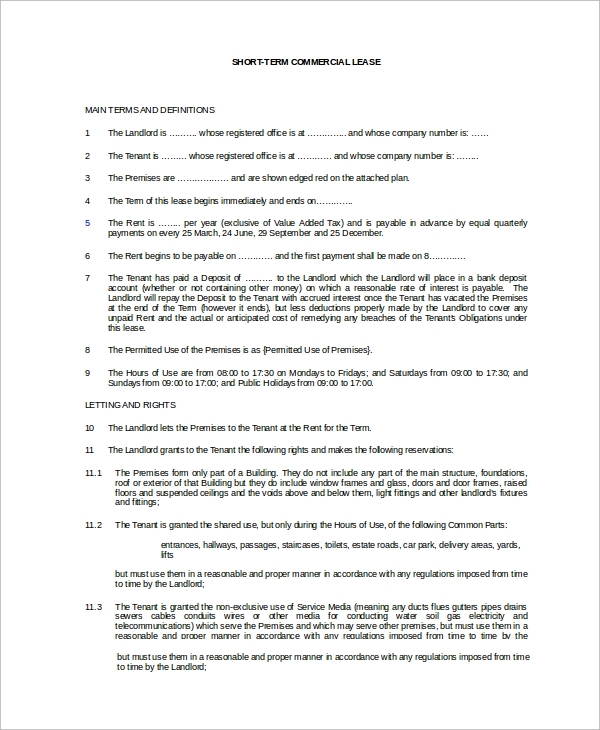 The following commercial lease documents have the necessary provisions that are prepared by the professionals. 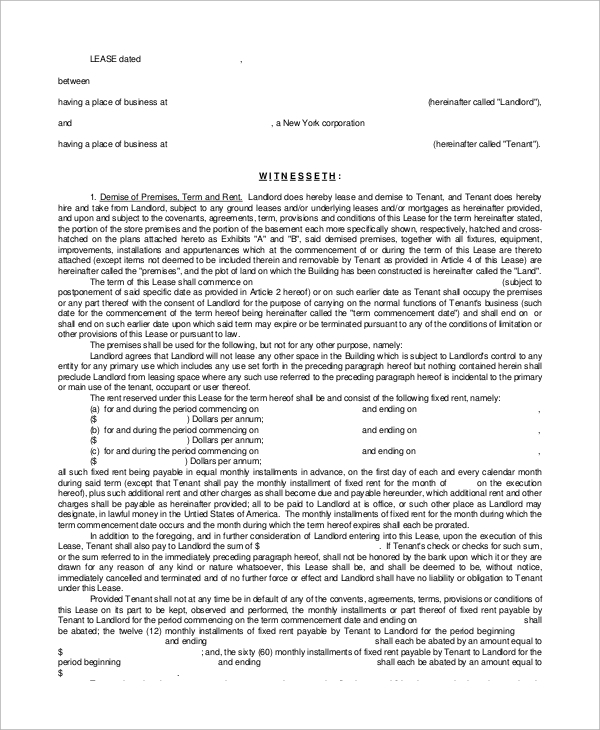 This is a perfect commercial lease agreement document. 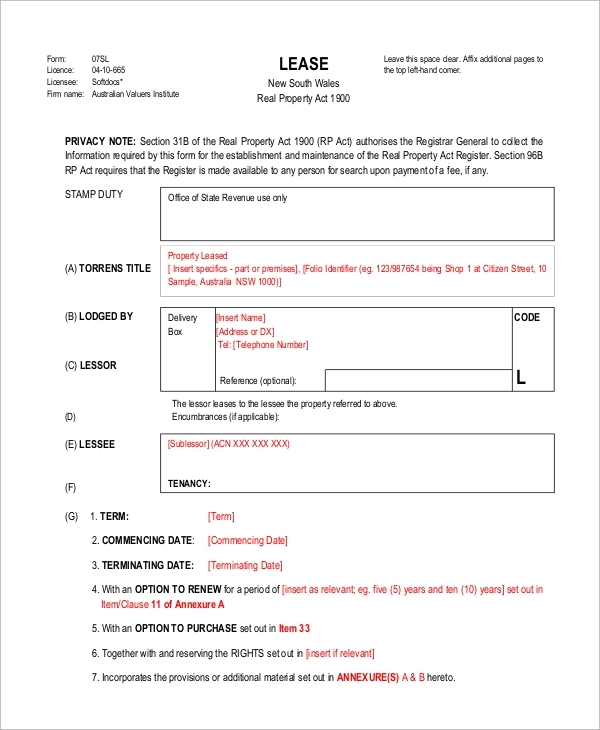 It is a six-page document with property details, base rent details, security deposit, additional charges, rules and regulation, maintenance, breach of contract, and other important declarations. 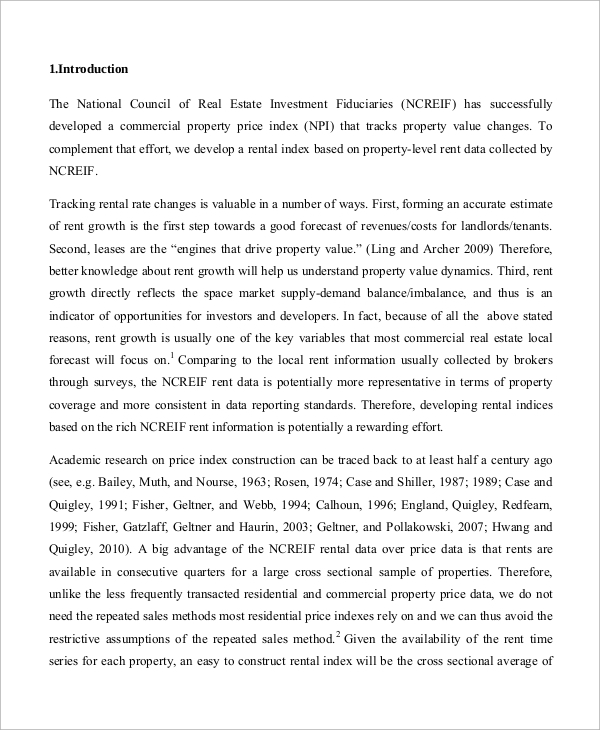 This is a complete 20-page document for a commercial property for lease. 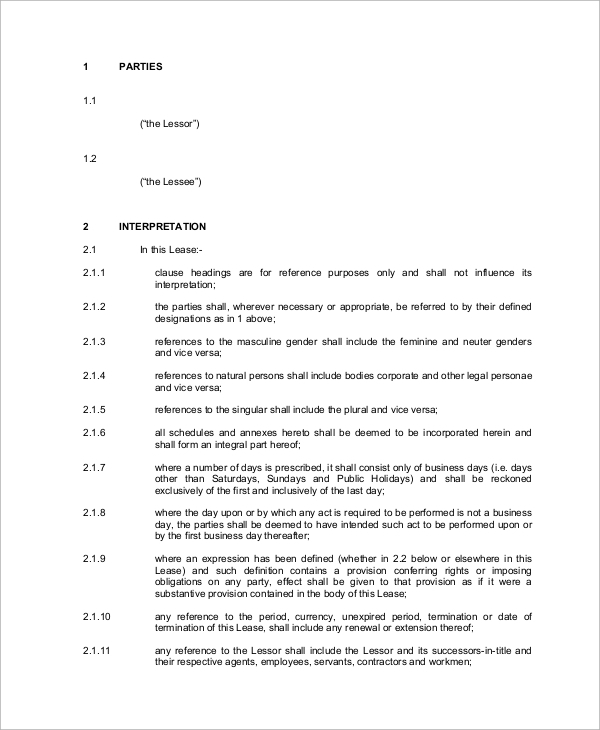 It starts with details of the property, duration of lease, conditions, rules, regulations, responsibilities, payment details, emergency details and most importantly, the termination clauses. 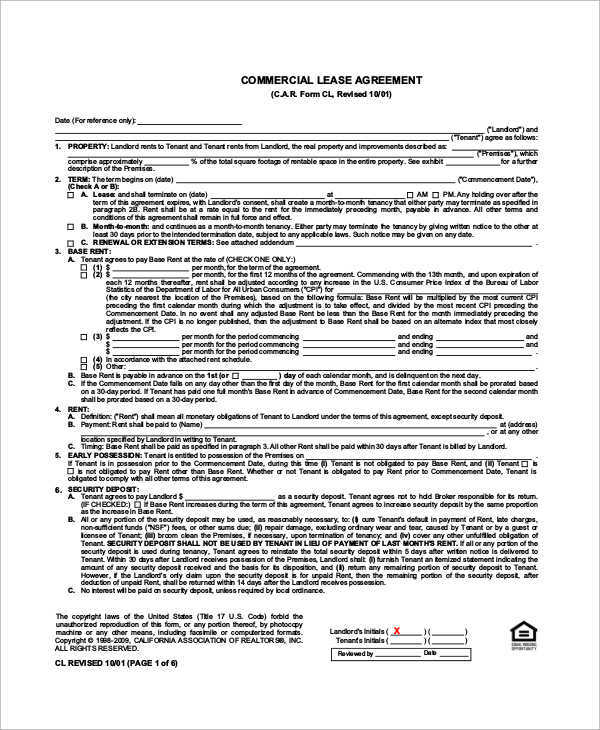 This document is for leasing out a commercial real estate property. It deals with a lot of parameters that cater to the interest of the owner and the renter. It explains the rent growth estimate, terms, rules and regulations for leasing out and important conditions. A commercial lease involves a lot of money and a long duration as well. In such scenarios, the entire transaction and deal must be legally correct and transparent for both the parties involved. It can only be done through commercial lease agreement which mentions all the required provisions such as a description of the property, terms, rules, regulations, financial transactions applicable and most importantly; the terminating clauses. With the above-listed Lease Agreement Sample, one can form his agreement and contract document and make the process smooth and clean. 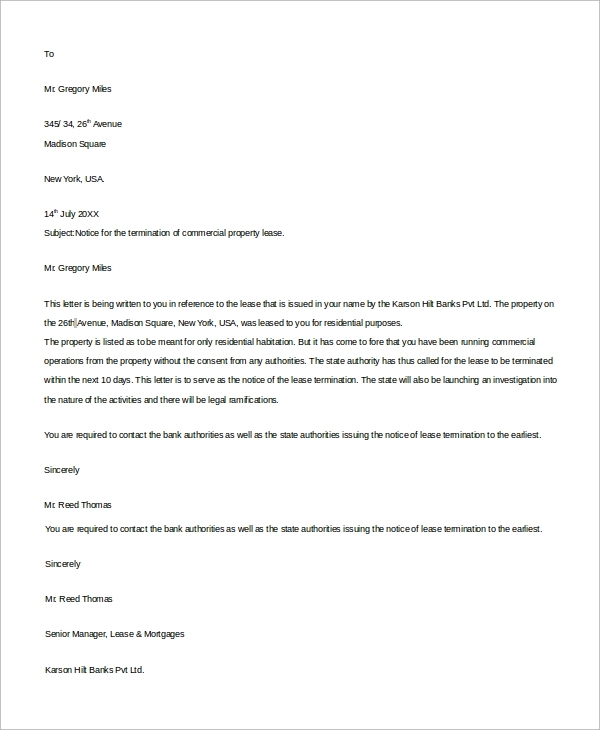 This is a sample termination letter for the Commercial Lease Samples. It starts with the lease information that was issued, the reason for the termination as per the contract offer, the effective date of the termination and the next set of actions to be taken if necessary. It is a sample commercial lease contract that starts with the premises details, uses of premises and terms and duration, rent payments, property insurance, security deposit, taxes, operating expenses and other important conditions. The targeted audiences for the commercial lease agreement samples are the owner of the property and real estate who are willing to lease out the properties to willing people. They are also applicable for the people who are taking the lease because they want a transparent deal so that no future complication and unfair advantages can be taken. 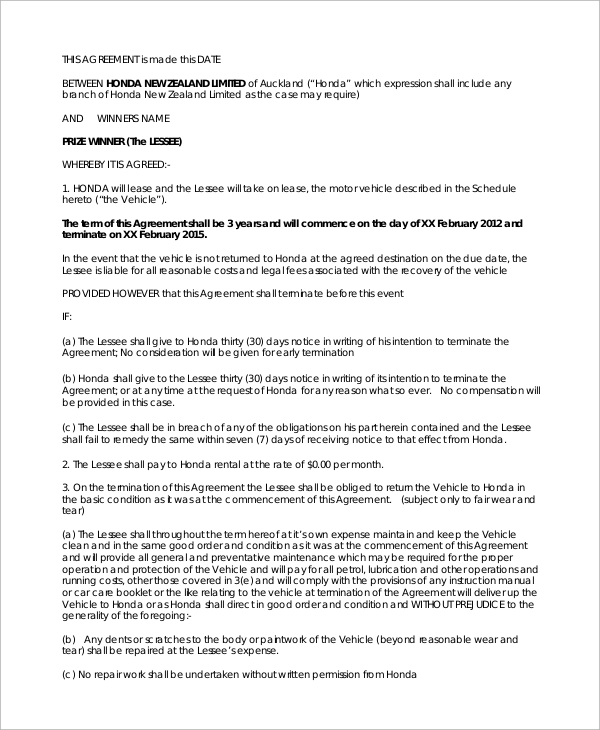 Similarly, there is commercial lease termination letter which is applicable for the legal and official bodies to issue the letter to the owner as well as the person taking the lease.You can also see the Blank Lease Agreements. The above-mentioned commercial Free Lease Agreement and documents are made by professionals and they cover each and every necessary provision that is required to protect the interest and deals of the client and the owner. It makes the entire process legally executable and transparent at the same time. There are conditions for termination which can be applied by the owner in case the renter breaks them.